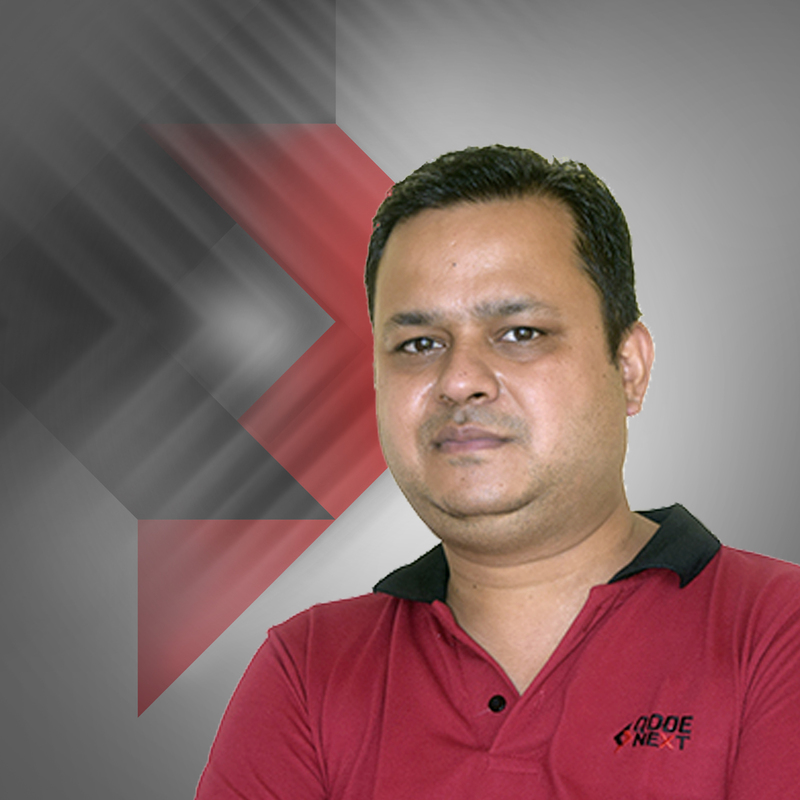 Sameer Parekh is the Director and CEO at Qodenext India Pvt. 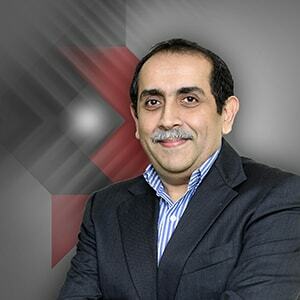 Ltd. Having started his entrepreneurial career in 1987 at Intellicon Pvt. Ltd. in the Telecom industry, Sameer has been one of the pioneers in the AIDC industry in India having started the operations over 25 years ago. His vast experience in Corporate and Government markets, team mentoring capabilities and business acumen will foray Qodenext’s growth in the fields of IIOT, analytics and BI. Sameer is an Engineer from Purdue University, USA. 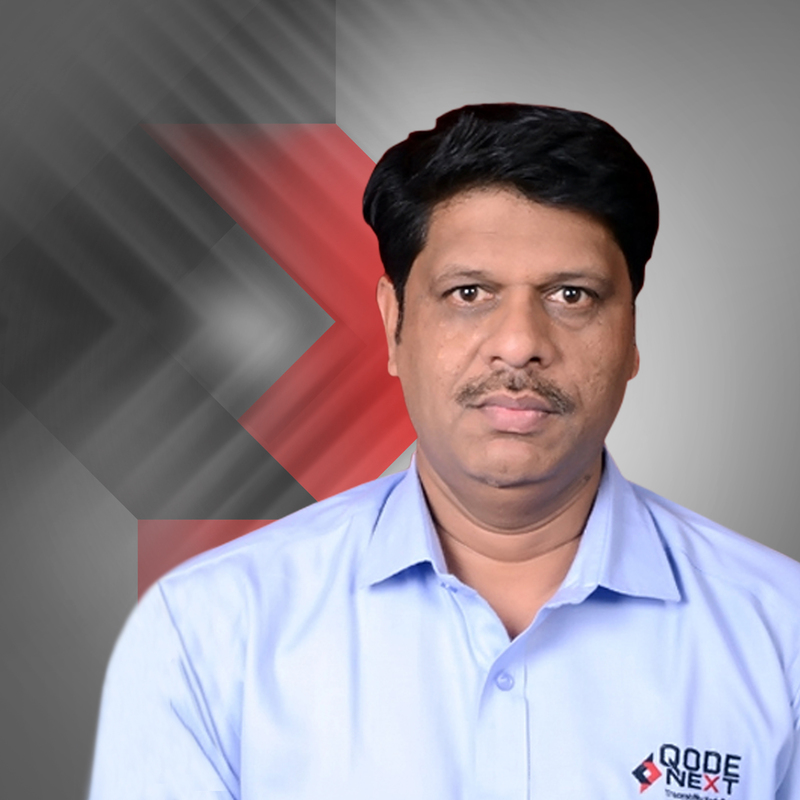 Narasimha Subramanian is a Director at Qodenext India Pvt. Ltd. Having started his entrepreneurial career in 1994 at Essae-Teraoka in the weighing scale industry Naramimha has been one of the pioneers in the AIDC industry in India having started the operations over 24 years ago by introducing Zebra Technologies to the Indian market. His deep understanding of the market and ability to convert market opportunity to business in a structured manner will enable Qodenext’s next wave of growth. Narasimha is an Engineer from University of Texas, USA. Bhavin Kothari is a Director at QodeNext India Pvt. Ltd. He started his career in the family business. He subsequently branched out and set up 8 label manufacturing factories across India, Bangladesh and Kenya (East Africa) over 2 decades thereby becoming the largest label manufacturer in India & Kenya. In 2014, he sold his flagship company Interlabels, to Skanem AS, Norway, and focused on the AIDC division which he set up in 1996. Bhavin constantly enhances his leadership skills with learning and is continuously transforming ideas into businesses. Bhavin is a Business Administration and Management Graduate from Sydenham College, Mumbai. 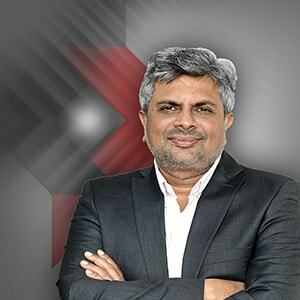 Srinivasan is the Chief Operating Officer at QodeNext India Private Limited. Srinivasan addresses the business operation and works with customers through the team in improving the productivity and traceability. 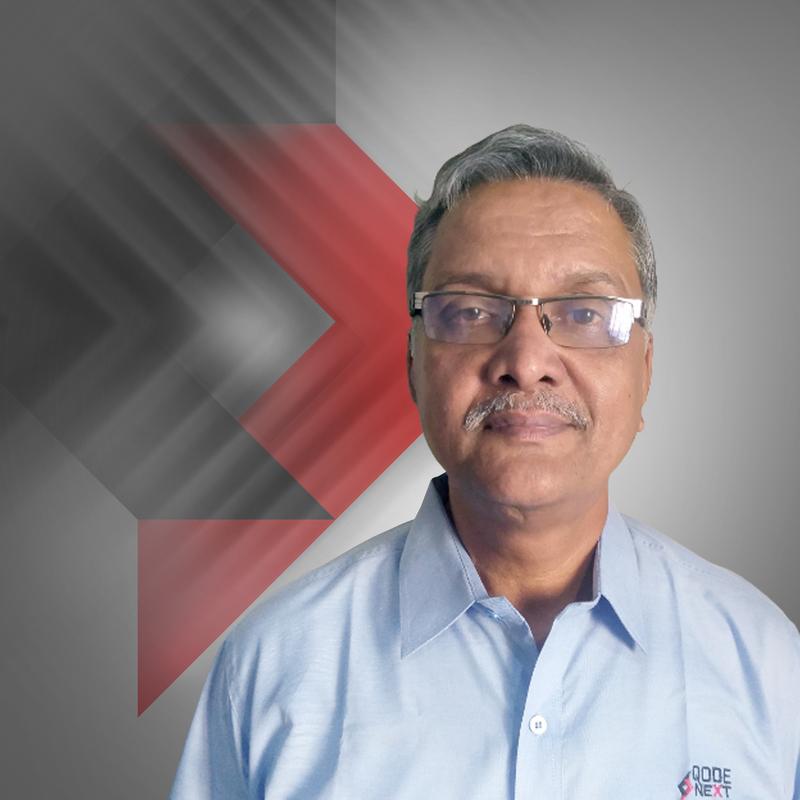 After spending nearly 32 years working in Electronic component and AIDC industry for Intellicon, Srini has developed an expertise in data acquisition solution on many verticals. 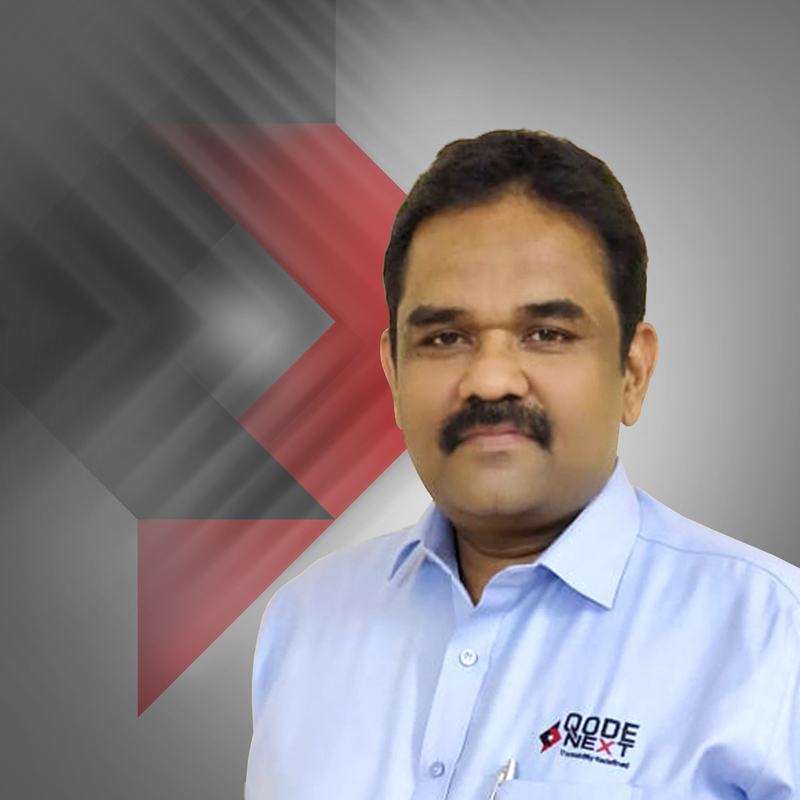 At QodeNext, Srini has worked in AIDC industry for projects ranging from manufactures to retail. Some of his turnkey projects include Blue dart DHL, ONGC, Reliance, ABRL, Delhi exercise, Maruti, Welspun. In addition to his rich experience, Srini has a skill in team management, solution architecting, business development, project management and profitability. Srini is graduate from Bharadhidasn University. 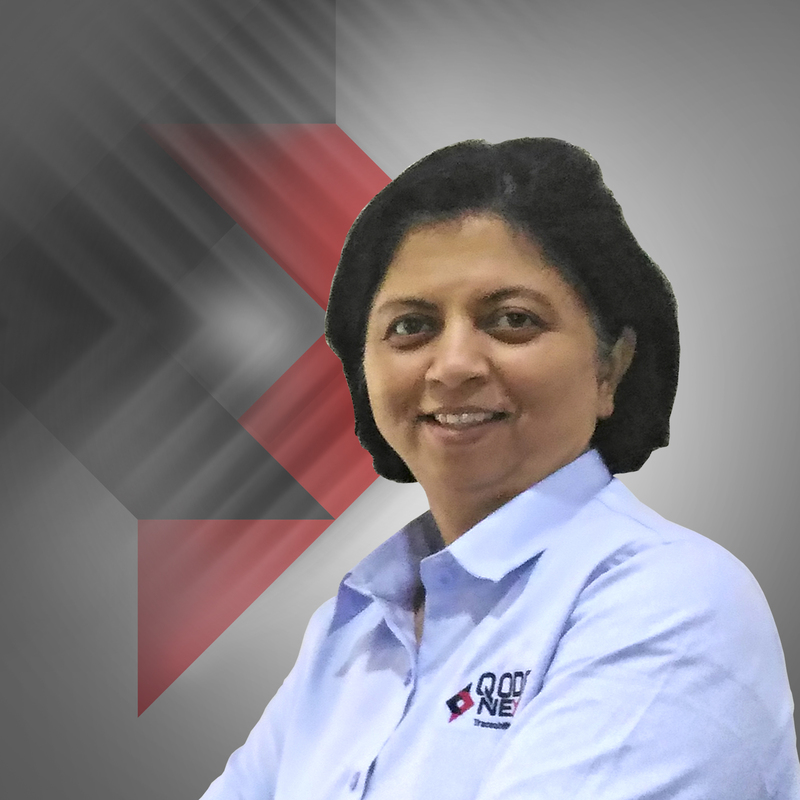 Meeta Trivedi is the Chief Financial Officer at QodeNext India Private Limited. Meeta addresses the Finance and SCM functions and works to streamline operations. After spending nearly 25 years working with Intellicon on Backend Operations, Meeta has developed an expertise in Accounting, Planning, Supply Chain Management and Operations. 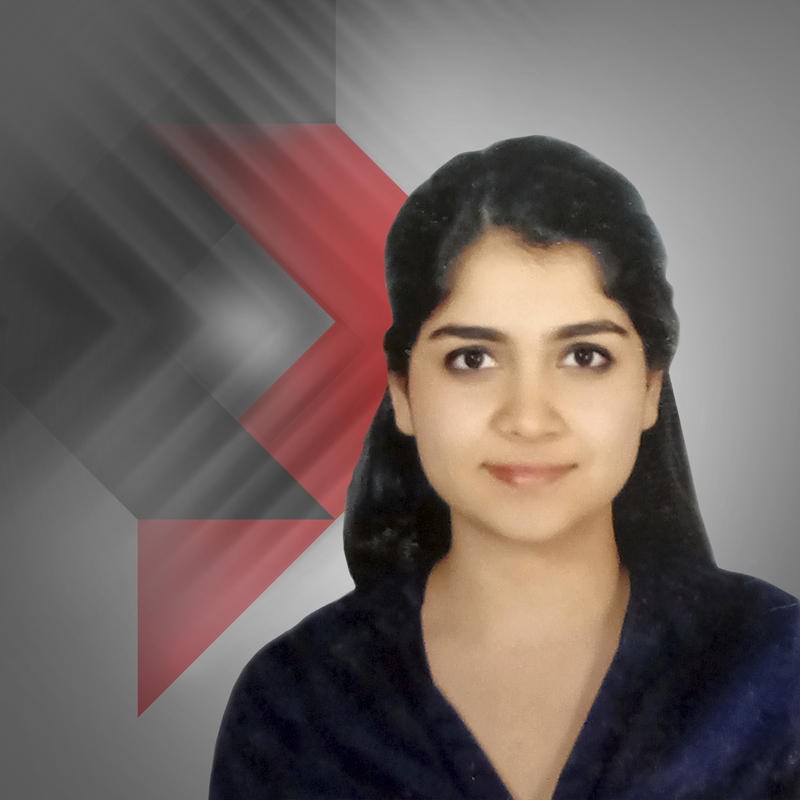 At QodeNext, Meeta Trivedi has worked on projects ranging from HR, ERP, Warehousing. Meeta holds a Bachelor of Engineering Degree from L.D College of Engineering, Gujarat University. Sumita Vig addresses the High Touch accounts and works with the customers to provide solution in the areas of data acquisition and data identification using technologies like Barcode, RFID, Machine vision and application software. After spending nearly 20 years working in AIDC industry for leading end to end solution provider, Sumita has developed an expertise in a turnkey solution designing and implementation. 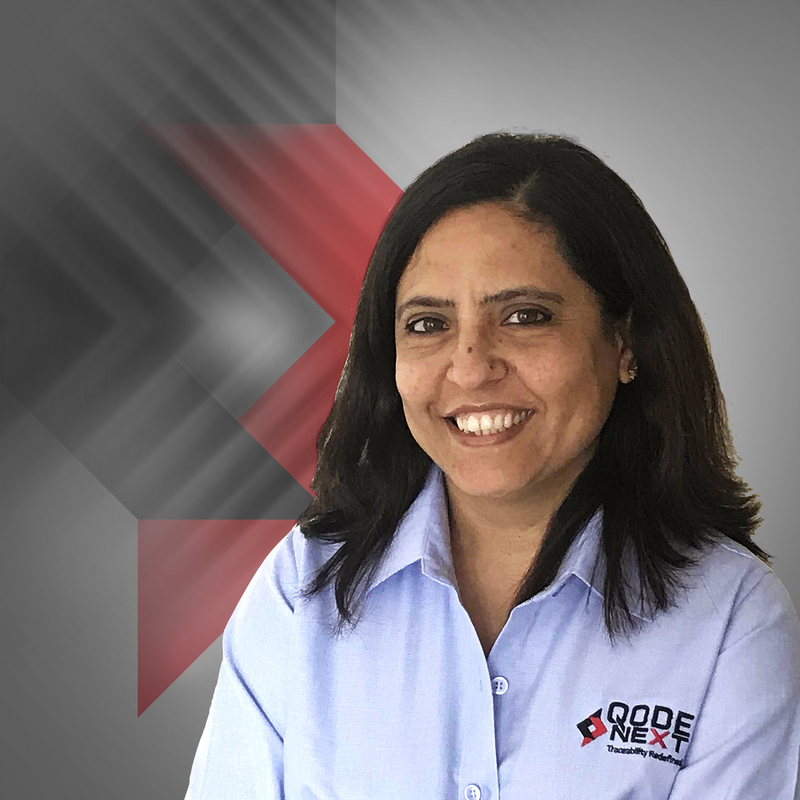 At QodeNext, Sumita has worked in Automobile and Consumer Electronic industry for projects ranging from Traceability, Warehouse management, Warranty management, Serialization, Vehicle management, Vehicle tracking and many more. Some of turnkey project include Delhi excise Liquor trace ability, Trace ability from vendor to OEM in MSIL, Warehousing solution in LG, Extended EWM to Vehicle mount devices in IOCL and many more. In addition to her rich experience, Sumita has a skill in account management and relationship management. Sumita holds Management in Business Administration in Finance from Pune University. Himanshu Srivastava is Vice President at QodeNext India Private Limited. Himanshu addresses the Solutions Development and Delivery Profile and works with customers to conceptualize, develop and implement QodeNext's Software Suite. After spending nearly 16 years working in IT and ITES industry for various consulting and CRM companies, Himanshu has developed expertise in design, integration and project management of large scale software products. 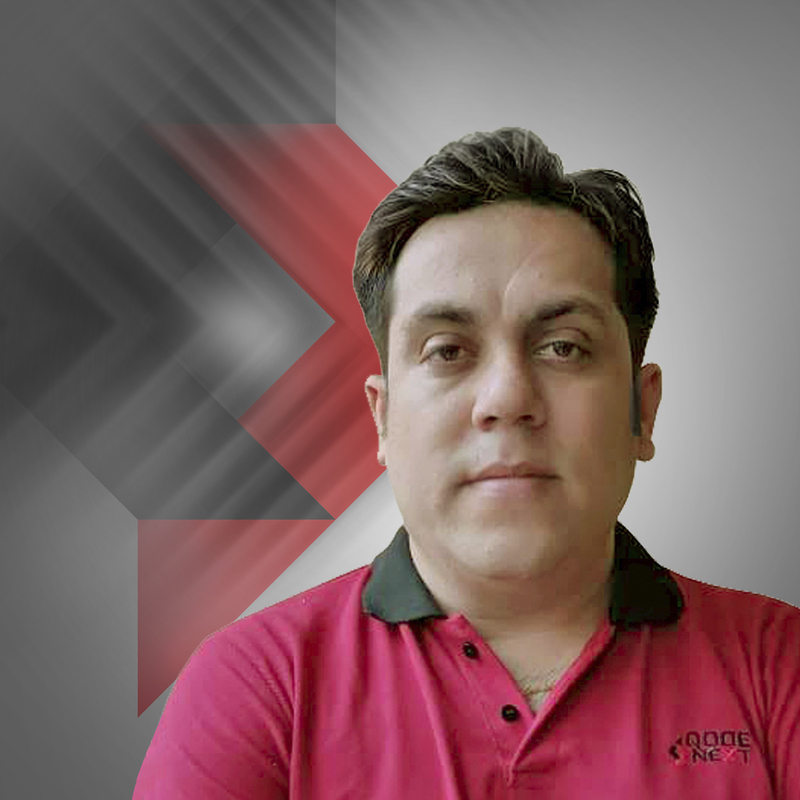 At Qodenext, Himanshu has worked on Warranty Tracking, Vendor Management and various Track and Trace implementations. 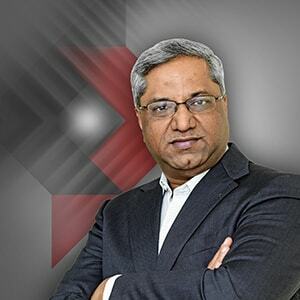 Some of his turnkey projects include Siemens Medical CRM, Kone CRM, MyTVS, Maruti Vehicle Management, Welspun Traceability, Philips Warranty tracking, Asian Paints inline printing etc. Himanshu holds an Advanced Diploma in Computer Application from National Institute of Information Technology. Kahini Parekh is the Head of Marketing at QodeNext India Private Limited. Kahini addresses Marketing, InSide Sales, and PR at QodeNext and works with internal teams to develop and coordinate marketing efforts, support sales and business development and build brand awareness. After working in Finance and Consulting in New York, Kahini has developed an expertise in Strategy, Efficiency Management and Implementation. At QodeNext, Kahini has worked on projects ranging from Independent Exhibition, Technology Days and Collateral Development. Kahini holds a BA in Economics and Business Management from Columbia University, New York, USA. Alok Kumar Mishra is the Regional Sales Manager at QodeNext India Private Limited. Alok addresses the West Region and works with customers to provide solutions in field of barcode automation & on IoT applications. After spending nearly 9 years working in multiple domains for Relyon Softech, Godrej & Boyce & including his entrepreneurial journey, Alok had developed an expertise in consulting new and existing businesses to automate their processes and understanding their pain areas and resolving them. 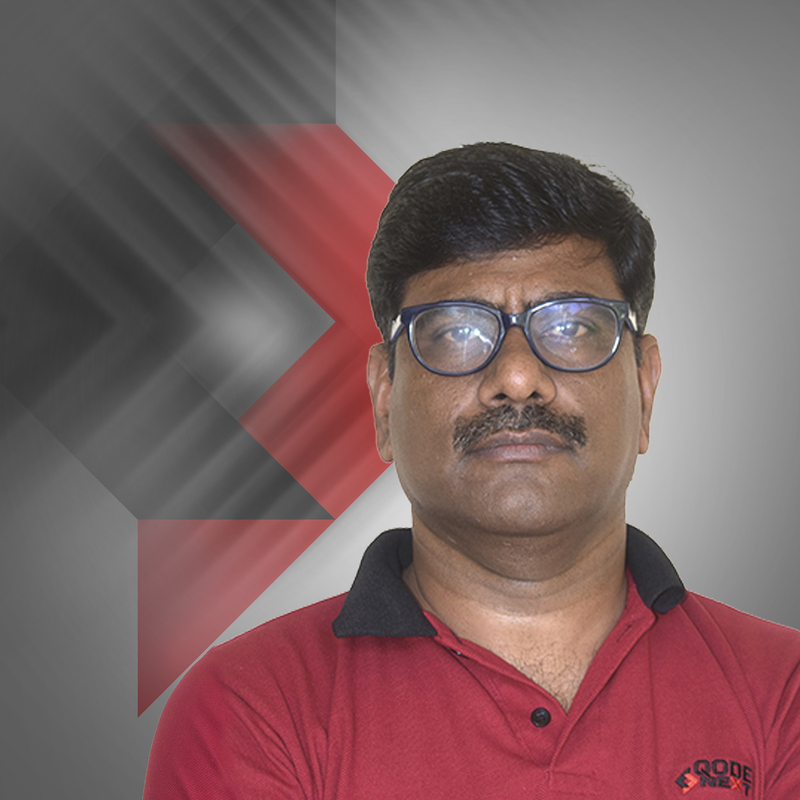 At QodeNext, Alok has worked in Government, Healthcare, Manufacturing & Automobiles industries for projects ranging from Automation Warehouse and Inventory Management to end-to-end supply chain traceability. Some of his turnkey projects include Bayer, Mumbai High Court, Volkswagen, Reliance JIO. Alok holds a Bachelor's of Engineering Degree in Electronics & Telecommunication from Pune University. Thomas Thomas is a Head - South at QodeNext India Private Limited. Thomas addresses the Automobile, telecom, Electronic, Logistics, Electrical, Manufacturing Industry and works with customers to get solutions for their WMS (warehouse management system), WIP (Work in Progress), Asset Tracking, TITO (Truck In Truck Out), online printing, Inline printing, Waste management tracking etc. After spending nearly 7 years working in AIDC for Essae Technologys now QodeNext, Thomas had developed an expertise in Automation Solution. At QodeNext, Thomas has worked in Automobile industry, Pump industry, Pharma, Logistics for projects ranging from WMS, WIP, FG management, Asset Tracking, MES etc. Some of his turnkey projects installed at Dr.Reddys, Hyundai, Caterpillar, Valeo, WABCO etc. In addition to his rich experience, Thomas has a skill in Graphic Design, Data Analysis, Computer languages etc. Thomas holds a MBA in Marketing from Madras university. Thomas is a certified Graphic Design and Multimedia from CADGRAPH Institute. Amiy Srivastava is a Regional Manager at QodeNext India Private Limited. Amiy addresses the North and East region and works with customers to Give them the right solution in data capture space for the end to end Traceability of the product through out the life cycle. After spending nearly 4 years working in Manufacturing/FMCG/Transport and Logistics and Pharmaceutical for Company Profile, Intellicon had developed an expertise in Data Capture and Traceability Solutions. At QodeNext, Amiy has worked in Auto/ Consumer Electronics/ Logistics for projects ranging from Data Capture/ Inventory Management/ Work in Progress/ WMS/ Dispatch/ Warranty Tracking. Some of Amiy turnkey projects include WMS at Bharti Infratel, WIP and Dispatch Management at Hero Cycles/ Bucket Traceability at Zydus Cadia/ Warranty Tracking at Surya Roshni. In addition to his/ her rich experience, Amiy has a skill in Team Management and Key account Management. Amiy holds a degree in Engineering in Electronics & Telecommunication from Feroze Gandhi Institute of Engineering and Technology. Amiy is a Zebra certified professional. 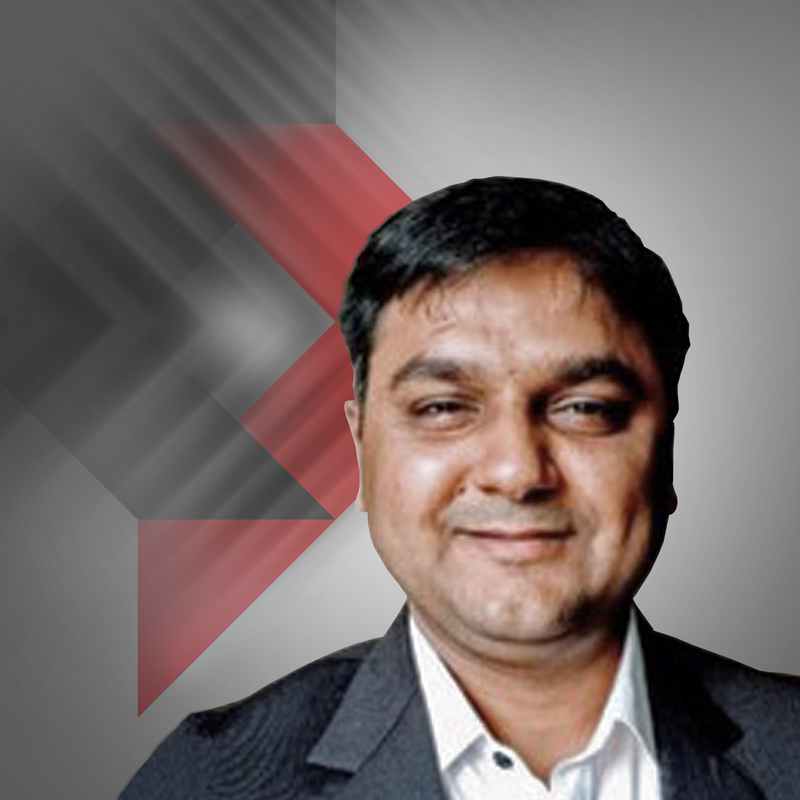 Anupam Chaturvedi is a Head of Pre-Sales, Solution & Product Management at QodeNext India Private Limited. Anupam addresses PAN India and works with customers to get the last inch traceability of their product. 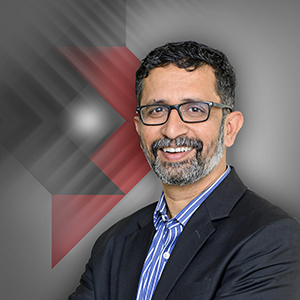 After spending nearly 9 years working in the AIDC Industry, Anupam had developed an expertise in IoT, Track & Trace and sensing and AIDC automation technology. At QodeNext, Anupam has worked across Automobile. FMCG, Textile, Chemical, industries for projects ranging from automation of WMS, T&T, IoT, TITO, SCM automation. Some of his turnkey projects include Hero, Honda, MSIL, Yamaha, P&G, HUL, IOCL, BPCL, Welspun, Asian Paint, UPL, RIL. Anupam holds a B.Sc. Hon's in Information Technology Application from M.G.C.G.V. Anupam is a Motorola certified mobility professional and Six Sigma certified professional by KPMG.